So, are you going to sit there feeling sorry for yourself, or are you finally going to do something about it? Do what Olympic athletes do and your ability to finally live ‘your’ music career dream will shoot through the roof. If you have been watching the Olympics lately, you’ve likely noticed that in many events, there is a very small difference in skill between someone who receives a gold medal and someone who misses the podium entirely. For example, in any of the events that involve competing for “the best time”, the difference between 1st place and 2nd place can often come down to as little as a hundredth of a second. For the winners who receive gold, silver or bronze: they will gain incredible status amongst the fans in their country, extensive media coverage and (as a result) many potential opportunities for lucrative endorsement deals…As for the people who place 4th or lower? Those who do not earn a medal will often go completely unknown to the media and fans unless someone is willing to spend the time to look them up. Although they certainly will have gained a unique and incredible life experience, they will get nowhere near the fame and fortune of the medal winners. Overall, this can leave them feeling very frustrated (especially considering all the time and effort they put into pursuing their dreams). Similar to the Olympians, you have dedicated many hours to your music career dreams. In addition, like these athletes, you do not want to invest years of hard work, time and money into building your music career only to hand over the opportunity of a lifetime to someone else because you did not train yourself to be ready for it. In order to get the biggest opportunities in the music business such as a good recording contract, world tours in a successful band, major endorsement deals etc., you will need to set yourself apart from other musicians and rise to the top. No one will come to your front door to offer you great opportunities unless you have proven that you are the very best choice. 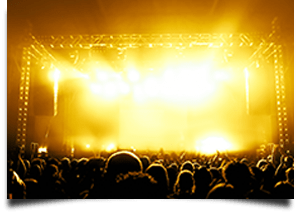 So what is it that will set you apart from the many thousands of musicians competing against you each year to get their foot in the front door of that major music company, record label or big time rock band’s audition? Fact is, becoming a successful musician in the music business it isn’t always the most talented musician who gets the gig. Instead, the one thing that will put you on the top of the list above all other musicians is an in-depth understanding of how to become ‘valuable’ and how to reduce the ‘risks’ that you are asking other people to take in working with you. It’s important for you to understand that everyone (including you) brings some level of risk to the people who you need to help you (record companies, managers, promoters, booking agents, band mates, etc.). Your biggest problem is you probably are not even aware of what risks you are bringing with you. You are also likely not fully aware of what could make you more valuable or even what exactly ‘valuable’ means to the music businesses and people you want to be working with. Hint: it goes way beyond, your music, your band, your talents, how many fans you might have, etc. It’s normal that you don’t yet know these things. Why? Because first there are almost zero sources of information on this highly specific subject and more importantly, there isn’t some big ‘list’ of value and risks’ that you can just look up on the internet or in a book. The value and risks that WILL determine your chances of success or failure are personal to you, your situation and what you want to achieve, among other, less important factors. You need to discover what your value and risk can be in a given situation. This is why it makes no sense for me to simply publish a list of risks and value. Remember, it’s all custom to you, your dream and the things you want to pursue. With this situation in mind, you can learn yet another lesson from those who compete in the Olympics. As mentioned above, the level of competition in the Olympics is incredibly intense; and the difference in skill from one athlete to the next is very small. Even the tiniest missed detail in one athlete’s mindset, training or preparation can make the difference between becoming a gold medalist and going home empty-handed. That said, in order to reach their fullest potential, the Olympic athletes hire a coach to train them, help them to maintain a winning mindset and keep them from making crucial mistakes. With the help of an experienced coach, the athlete can correct any of the smaller details that hold him/her back from becoming their absolute best. Not only does the athlete avoid making the mistakes they would make without the guidance of the coach, but they are also able to correct any errors in their approach much faster than if they were to attempt to figure them out on their own. In fact, the most successful musicians in the music industry use coaches to build their music careers too. Just like athletes, you may not be able to see the right path to take by working on your own to achieve your goals in the music business. Many musicians are just a step away from great success, but can’t see the one fundamental thing that stands in their way due to a small flaw in their approach or understanding of the music industry. It is the musicians who find a music career coach and mentor who are able to correct all of their ‘small’ mistakes and misunderstandings in order to rise to the very top. These are the musicians who become highly successful and build long lasting music careers. Learn how to find your own music career coach by reading this article on how to succeed with a career in music. So when it comes to building YOUR music career, don’t blend in with the majority of other musicians by trying to do everything on your own in your music career and failing to attain your highest musical goals because you unknowingly took the wrong approach. Instead, find a great music career mentor who knows how to help you reach your full potential in the music industry. When it comes to your music career, don’t settle for merely ‘participating’, go for the gold! Take this free music industry assessment to determine how a mentor will be able to help you achieve your full potential and become a successful professional musician in the music business so that you can finally achieve the goals, aspirations and dreams you have had for so long. Develop a highly successful music career by working together with your own music career mentor.